I didn’t decide to write. I was living in New York City, and Natalie Goldberg, author of Writing Down the Bones was in town giving a workshop. I signed up. I hadn’t written since I was a kid–not even in a journal. I sat in a room with about two hundred other people and watched as Natalie talked about her free writing method. “Keep your hand moving,” she said. Then she had people read what they wrote. It was a whole weekend of short free writes, people reading in small groups, some people reading to the whole group. I felt so unlike the others. They knew they wanted to be there. I didn’t. I remember being in a panicked state each morning on the subway ride to the workshop. After that weekend, I signed up for a writing course at the YMCA with Patty Dann, who had written Mermaids. I was so surprised at what came out of me. I had no idea that these stories existed in me. Yes, I was writing about my life—going to live in Oregon with crazy Renee Pat; being sent to Dammash, the Oregon State Mental Hospital; deciding to keep my son Reuven instead of putting him up for adoption. The class liked my stories. They were real. They were alive. For me, it was another part of me awakening. I had been scared to put the pen on the paper. I felt frozen. When I had a teacher give me a prompt, tell me it was okay to write, I wrote. But I remember going to a class where we were supposed to do “morning pages” according to the method developed by Julia Cameron in The Artist’s Way—three pages of longhand, stream of consciousness writing done first thing in the morning. I couldn’t write in class. I couldn’t write at home. I put the pen to paper, but my hand felt frozen. And then one morning I wrote—I just wrote. I wrote the story of when I was in high school and the school psychologist told me never to write again. He said I was lying about my family. I wasn’t telling the truth. Truth. I told the truth about my father, but I was shut down until the women writers gave me permission to write again, gave me the tools. Morning pages, keep your hand moving, go deep. It’s never been easy. The words don’t just slide off the pen. But I did learn to free write. I went to Taos, New Mexico, to more workshops with Natalie Goldberg. I took a yearlong memoir class with Jack Remick and Robert Ray, who also used Natalie Goldberg’s free writing method. Three of us from that class began meeting after completing the class. We met for nine years, almost every week. We wrote our stories. I got feedback. I got support. 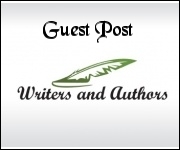 But what do you do with pages and pages of free writes? Craft. I discovered that I needed to learn craft. In Seattle I was blessed to have as my teacher Priscilla Long, author of The Writer’s Portable Mentor. She taught me to write sentences and paragraphs, good ones. We had exercises—over and over. Lists, sentences, making good sentences. I felt like I was joining the world. The literary world. I couldn’t do it alone. I had to have the help of friends who learned sentence structure in high school or college. Somehow I didn’t learn those things although I took English in college. In those days I was just surviving. I’m a Capricorn. I plod along. It took me ten years to write my memoir. I didn’t have a vision of what it would be like to publish, and, of course, the publishing world has changed so radically in recent years. With the help of a friend, Julie Fretzin, I was able to put together a manuscript and get it published. Julie got me readings—at Elliott Bay, Seattle’s prestigious independent bookstore. Over seventy people showed up. I read. I got to read in New York—the Lower East Side, where my story started back in 1964. My son read the manuscript and called me immediately. “I’m shocked,” he said. “It’s good, really good.” I’ve seen him give copies to friends, to business associates. He’s proud. More than that, he’s had a renewed respect for me, a single mother who didn’t choose a traditional family path. That’s the outside. For me personally, writing my memoir has been a healing journey. Just putting word after word, sentence after sentence, having a story to make sense of my life. I’ve lived a lot of my adult life in trauma. I lived with these isolated, desolate feelings. Putting it on paper, all of it, making a framework, making a book, reading to audiences—it’s given my story a place in my life. It’s a rightful place, and now, as an elder person, I can enjoy what I have today. Some people make craft, knit, run, all kinds of activities. Writing for me is a way to be in the world. I write with other people, in groups. We read to each other. We talk. It’s given me a place in the world. Hadiyah Joan Carlyle grew up in a Jewish immigrant neighborhood in New Jersey, became active in the Civil Right movement of the sixties and migrated to San Francisco’s colorful Haight-Ashbury to be part of the counter-culture there. In the seventies, she was the first and only female shipyard welder in Bellingham, Washington, north of Seattle. In the eighties, Hadiyah returned to the East coast to earn her MSW at Rutgers University. In 2003, she completed the certificate program in Memoir Writing through the University of Washington Extension. 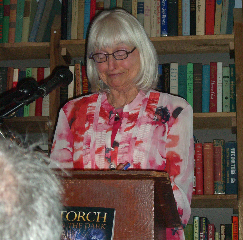 She is an active member of Seattle’s thriving community of writers. Today Hadiyah lives in Seattle’s Queen Anne neighborhood close to her son, Washington State 36th district Legislator Reuven Carlyle, his wife Dr. Wendy Carlyle and their four children. Activist, hiker, devoted grandmother, Hadiyah delights in the wild beauty of the Northwest while remaining connected to her gritty urban East Coast roots. 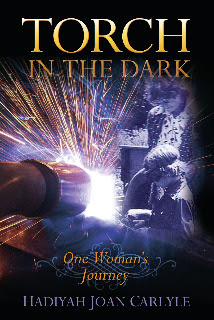 Though welding is no longer a part of her life, she continues to carry the torch for the empowerment of the oppressed. Thank you for hosting Hadiyah on your blog. A good example of hard work before creativity. The discipline releases the craft!